SKU: iPAD_SP1. Category: Defibrillators & Spares. Tags: Defib, Defibrillator, iPAD SP1. 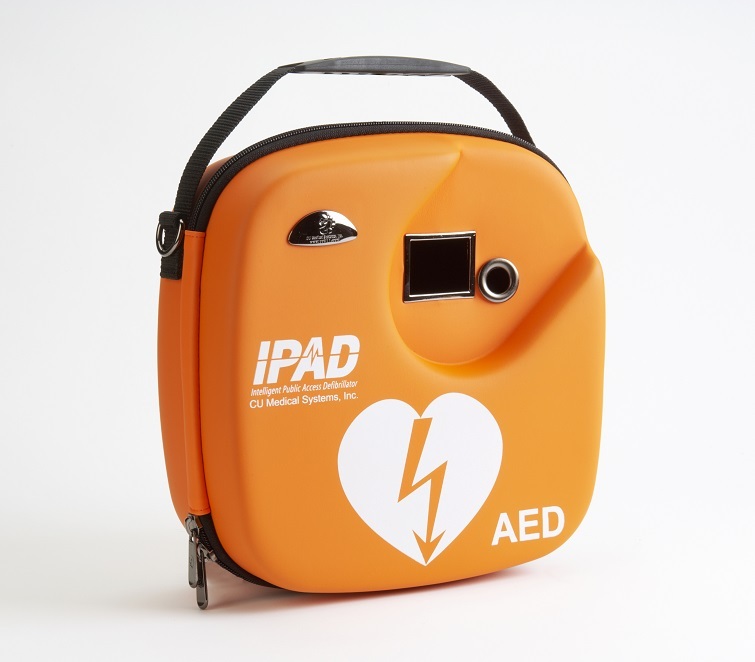 The iPAD SP1 is the most comprehensive public access defibrillator on the market, accredited by the British Heart Foundation and used by communities across the country and world this is the perfect defibrillator for any Public Access Sites and coupled with either our AWC001 or AWC003 cabinets is the perfect package. 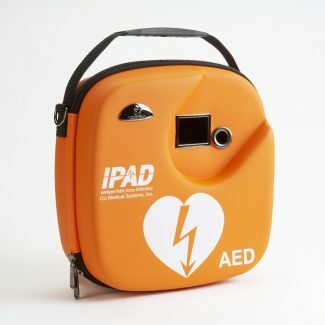 When you buy the iPAD SP1 from us not only do you get the Defibrillator, but, you also get the orange carry case, 2 sets of pads (suitable for both adults and children) and 2 preparation kits, providing everything you need to set-up a Publicly Accessible Defibrillator Site. 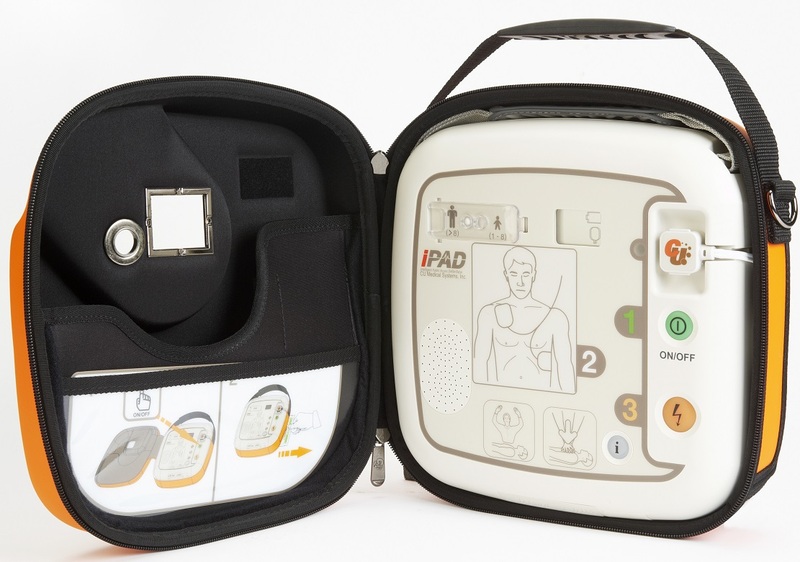 This iPAD SP1 is a Semi-Auto Defibrillator, this means that, when instructed by the defibrillator, the operator instructs anyone helping the patient to stand back then they press the flashing “Shock” button on the defibrillator. An Auto Defibrillator counts down then automatically shocks, the disadvantage to this is that you have to wait for the count down, wasting critical time, however, if you would prefer an Auto Defibrillator please contact us, they are the same price and specification as this one, just without the shock button! 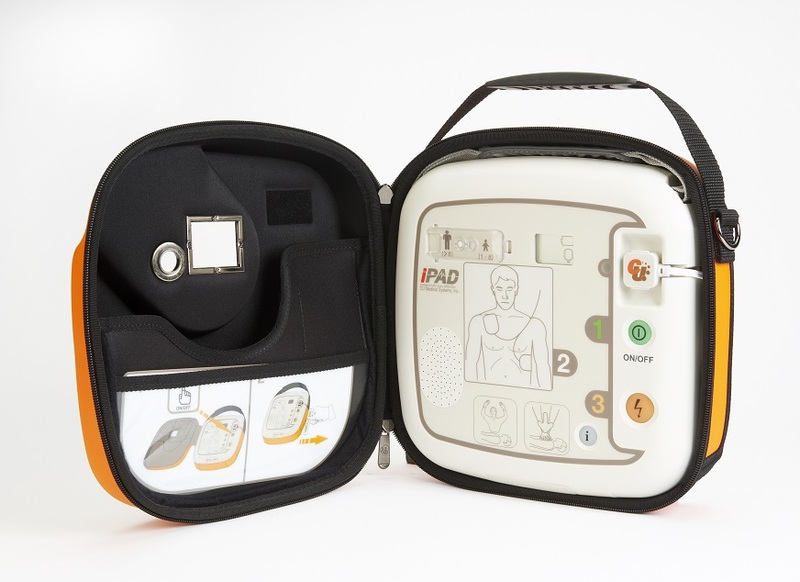 Register your iPAD SP1 Defibrillator with the manufacturer and you get a 10 year warranty on the Defibrillator. Pad indicator displays illustrates pad life remaining, with verbal instructions to “replace pads” or to “connect pads”. 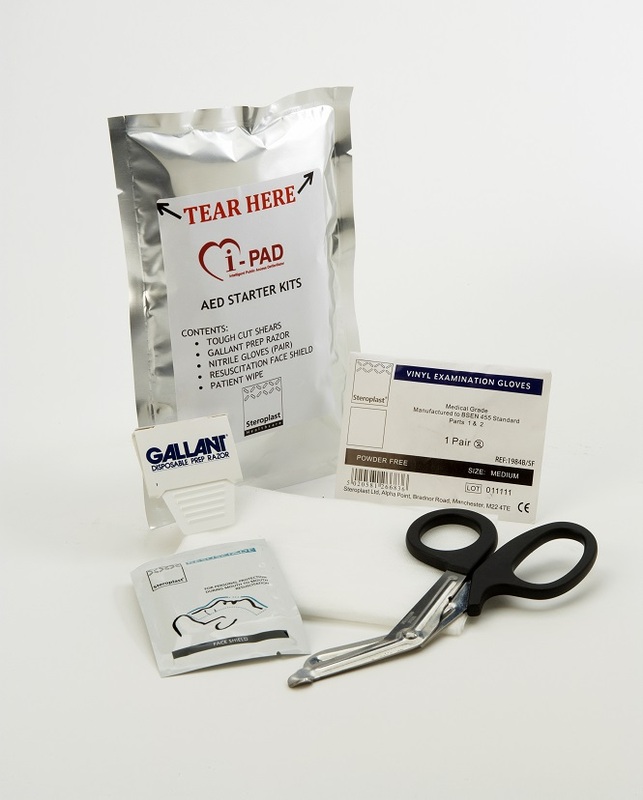 Pads have a 3 year shelf life and replacement pads can be purchased in our shop. 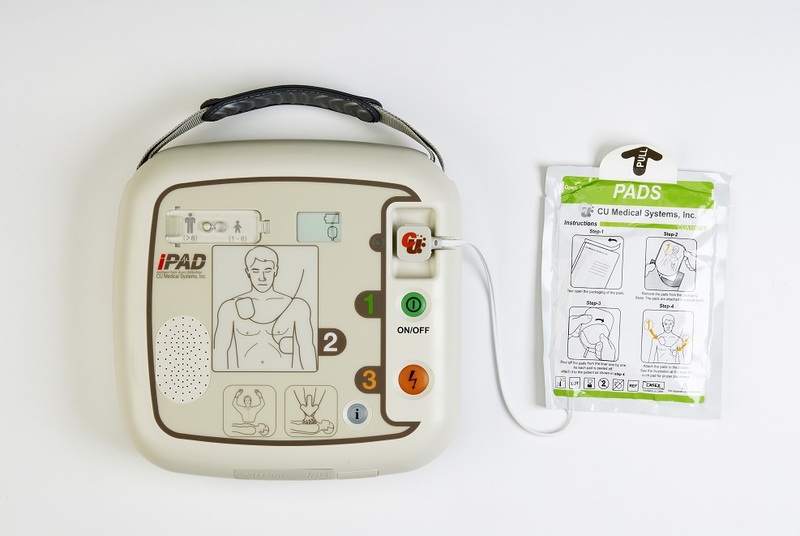 Returns: Due to this being critical life saving medical equipment, the iPAD SP1 defibrillator can not be returned once purchased. Before an order is dispatched it is possible to cancel the order, however, once dispatched it is not returnable. 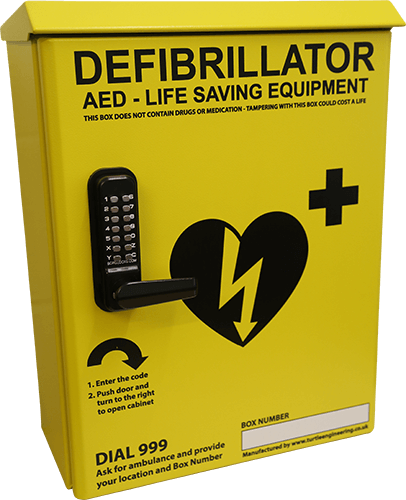 The defibrillator is covered by the 10 year warranty (with registration on the manufacturers website) so any technical problems will be fixed and covered by the warranty.